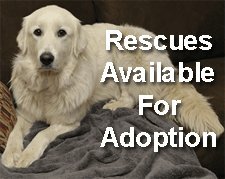 I recently rescued a 5 year old Female Great Pyr named Fancy. I am a vet tech at a shelter clinic, she came in to be spayed, I fell in love instantly, needless to say, she has a new forever home. She is an excellent dog with an incredible personality. However, she is grossly underweight at 62 lbs. It is proving to be a challenge to find something she'll eat! 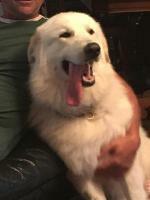 I know Great Pyr's are notoriously picky eaters so any tips or tricks would be much appreciated! I've tried gravy, canned food, and milk with kibble (which has worked with picky eaters in the past). But nothing seems to work!! My 12 year old female (Buttercup) has a very sensitive tummy. I adopted her when she was 5 and I thought she was your typical picky Pyre. As I started working on finding the right food I realized Butter was not so much picky as allergic. 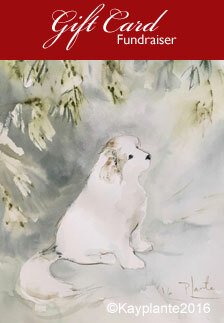 I noticed red staining on her front paws from licking and excessive belching after meals. The first thing I did was read every label before putting anything in her mouth. Since I had some pyre experience with the breed I know corn can't be anywhere near them. They All seam allergic to that. 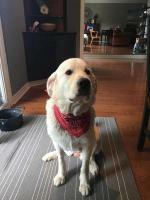 After many attempts to find a consistent dog wet food to mix I found it easier and even cost effective to do the following. First get her a good grain free high grade dry kibble. Instead of canned dog food I mix in a 13 ounce can of white meat chicken packed in water (you can find it in most grocery stores near the tuna fish) I buy it at sam's club for about $2.00 for a 13 oz. Can. That along with the proper amount of a high grade grain free kibble has ended the problem. The condistance of diet has stablized her.Red stains and belchimg are gone. As to treats please read every label to be sure what you give her don't undermined your hard work of balancing her diet. I think you will find her much less picky when her tummy is stable and her diet consistent. Good luck with her. Butter cup has been on her diet now for around 6 year and she is very happy and health. She shows no signs of slowing down and at 12 I think she is still in her prime. I wish you luck with her. 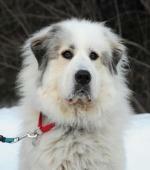 Congrats on your new PYr Fancy (lovely name). 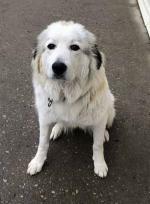 You did not indicate why Fancy was rescued, but I also rescued a Pyr who was grossly underweight. He had been starved. I could not get him to eat enough at the beginning, He would eat some food and leave the rest although I knew he was still hungry. he was saving it in case he did not get more. Also, his stomach was small from not getting enough food. I did put small amounts of "people" food on top of his kibble to entice him to eat. As he had food down all the time, eventually he seemed to realize he could eat more each meal, but it took about 6 months for him to start eating properly. During this time he slowly started to gain weight. After 2 years, he still could use a few more pounds but he eats twice a day although he still looks for his "people" food on top. I found my 13 month old, 69lb girl will eat when I put coconut oil (1 tbls) on her kibble in the morning. I can't seen to get her on a schedule as she eats when she wants. So kibble 1 cup w/cocnut oil, 1 cup in a toy puzzle. She gets a can of Blu at night, plus snacks. She also LOVES swiss cheese! I'm starting to see her get some fullness. Good luck! I feed my raw. I highly recommend it. 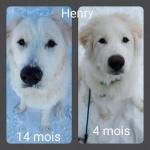 My dogs put on weight and are healthier than ever. It was tough to get them to eat kibble. I feed once a day. Some feed twice a day. Raw meat (RMB-raw meaty bone) (Chicken leg quarters, necks, backs, venison, pork, beef, lamb, goat, rabbit, fish, turkey, duck, bison, tripe, liver, sardines) Do not cut up meats. 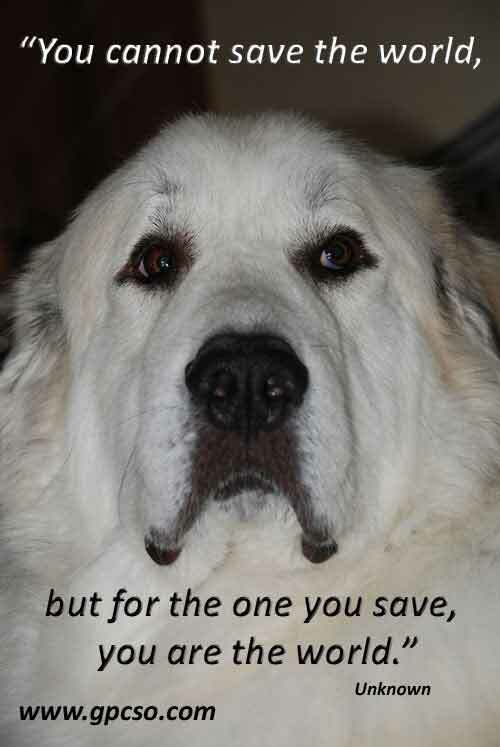 For my picky Pyr I started giving him raw goat milk twice a day. He gets a half cup with breakfast and a half cup at bedtime. He still has to be hand fed, I've found NO kibble he likes enough to eat on his own. I add mozzarella cheese shreds or sprinkle Parmesan with rotisserie chicken but switch up constantly because he's bored easily with food. The goat milk adds fat and calories and is good for him. He's finally pushing 100 lbs at 2 1/2 yrs.